Volkswagen of Garden Grove's Certified Service Technicians take great pride in providing unsurpassed workmanship, exceptional service, and fair pricing. VW drivers in Garden Grove, Anaheim, Brea, Buena Park, Fountain Valley and Santa Ana can trust that our factory-trained professionals will repair your VW using genuine VW parts and get you back in your vehicle quickly. 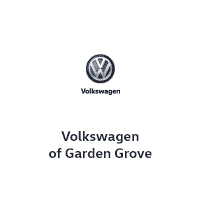 Why Should You Service With VW of Garden Grove? "Excellent service. The staff is nice, welcoming, reliable and effective. The work is well done. I will definitely go back to VW Garden Grove for next maintenance. Highly recommend!" The right tires not only contribute to a good ride and handling, but safety as well. If your tires are showing signs of wear, make sure you get your ride some new treads. With our Tire Price Match, you can get exact replacements for the original tires at the best price, mounted and balanced by factory-trained and Certified Volkswagen Technicians in one easy step. Wondering when you need to get your next oil change or how often you should replace your filters? Use our Online Maintenance Menu to see recommended maintenance intervals.